CBRE Capital Markets’ debt and structured finance team has arranged a more than $50 million construction loan for the development of KAR Auction Services, Inc.’s new global headquarters in Carmel, with an overall $80 million project value. CBRE arranged the seven-year, non-recourse construction and mini-permanent loan facility on behalf of an affiliate of U.S. Realty Advisors. BBVA/Compass Bank served as the senior lender in the deal, which closed in February, RE Journals has reported. Construction on the new campus is scheduled to break ground in early 2018 with a target move-in date in the second half of 2019. The development team assisting KAR includes Ginovus LLC, Ice Miller, PURE Development, RATIO Architects, Shiel Sexton and US Realty, KAR says. 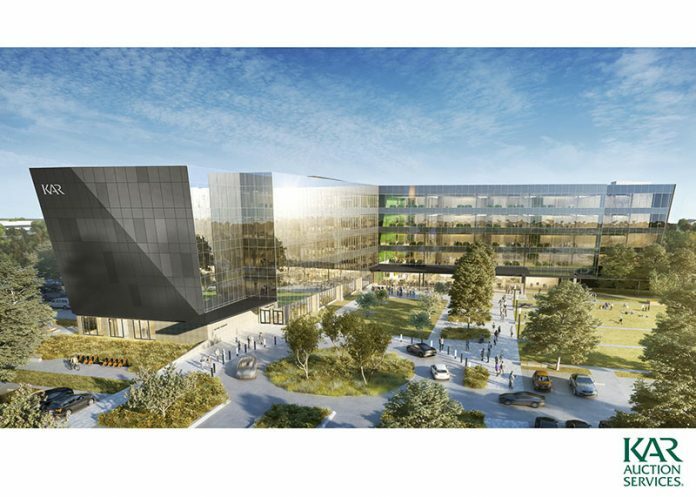 The company announced last September that it would develop a new campus on the 13-acre site with a new, 250,000 square foot office building featuring an open floorplan and broad collaborative workspaces. The building was designed to reflect both the company’s rich auto auction history and their international and technology-driven growth. Nearly 1,600 of KAR’s 17,400 employees are located in Indiana, and the new location provides space for an additional 400 jobs. 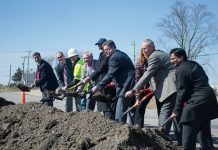 KAR says it is further deepening its Indiana roots and planning for future global growth with this approximately $80 million project. KAR’s new headquarters and campus will house the company’s innovation, technology and data as a service divisions and serve as the US headquarters for TradeRev, KAR’s mobile app-based auction subsidiary. The new corporate offices will be located two miles south of KAR’s current headquarters on the northeast corner of Illinois and W. 111th streets. The campus will feature a three-season outdoor courtyard, and will incorporate design ideas from KAR employees across the globe.